Many thanks to my dear friend and critique partner, Jasmine Warga, for tagging me in this tour! Her heartbreakingly hopeful debut novel, MY HEART AND OTHER BLACK HOLES, will be published by Balzer + Bray/HarperCollins in 2015—I *loved* so much about this book, and can’t wait for the rest of the world to read it, too! If you’d like to read about Jasmine’s writing process, you can do so here. Also, I highly recommend befriending her on Twitter (@jasminewarga), because she is just the sweetest combination of talented + encouraging + super-humble—and don’t we all need friends like that in our lives? As I write this post, I am halfway through the first draft of a shiny new YA project. So far, it’s the most challenging thing I’ve ever written—and I say that as someone whose most recent project was a time travel book—which is only *one* of the reasons I find it exhilarating! (Another reason: lots of LOST-ish-ness and beaches and what-the-heck-is-happening?!) I can’t wait to knock out this discovery draft so I can have something solid to chisel and carve during the revision process. I write what I write because…well…it’s the kind of stuff I like to read. When I get an idea, I’m usually hard at work on another project. I’m pretty monogamous with my projects, for time and focus reasons, so instead of dropping everything to chase the *fun* *shiny* *new* thing, I’ll open up a fresh Scrivener document and write the first page, or the first chapter—whatever comes out most naturally to get the voice going. If the idea sticks with me until I’m between drafts, and if the voice feels fresh and distinct, and if I have a working idea of where the plot and character arcs will go—and if I love it more than anything else I have going—that’s the one I run with. Well, I already wrote a little about how I start a project. From there, I do a bit of journaling (by hand, usually in a Moleskine journal) about my big-picture vision for the plot and characters. I’m neither a detailed plotter nor a completely-by-the-seat-of-my-pantser—I’m one of those weird hybrids who maps out only the most major turning points, and then I come up with the rest as I go. This allows me to have decent structure to my plot from the ground up, but also allows for freedom to discover the details along the way. I’m actually quite mathematical in my writing process: I write short first drafts (60–65K), since I always end up adding words when I revise, and figure out where(ish) I want those major plot points to fall, numerically. And then I work from there, crafting my story with plot, structure, and character arc goals in mind. I’m highly motivated by seeing progress bars and graphs fill up with data—and by seeing my friends striving hard toward meeting their goals—so my husband created an entire social networking website (www.myWriteClub.com) based on those things. As for the actual writing involved, I’m not one of those people who can dictate a story into a voice recorder and then transcribe it later. So much of my process is language-oriented—like, the actual words and rhythm and dialogue on the page help propel me from one idea to the next. (This is why it’s helpful to make a plot point road map early on—that way, I’m always working toward something concrete even as I’m figuring out the details.) One rule I consistently follow is if it’s boring to me, it’s probably going to bore the reader. So, if at any point I’m feeling bored with what I’m writing, I know I need to backtrack a bit and make it more exciting/intriguing—tension on every page, and all that. I’m also a firm believer in inspiration shows up when you do. Meaning: I work when I have time (6–8AM, during my toddler’s afternoon naps from 2–3:30, and on Saturday mornings), even if I don’t feel particularly inspired. Nine times out of ten, I feel inspired by the end of my writing session, and have a good amount of progress to show for it. And for that other time out of the ten—that’s what chocolate is for. This is my process for the initial discovery draft—revision is a whole different thing altogether. I absolutely love the revision process, and have developed a pretty efficient system for it. (As efficient as revision can be, that is.) That could be its own blog post, though, because I have so many thoughts on it. 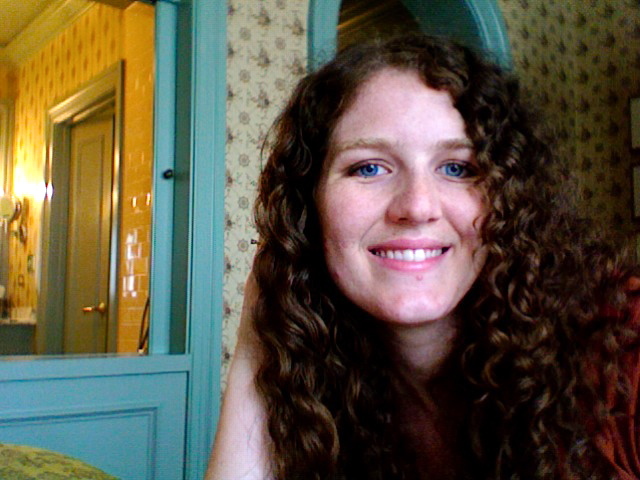 Alison Cherry is the author of RED (2013) and FOR REAL (December 2014). She is also a professional photographer and worked for many years as a lighting designer for theater, dance, and opera productions. She lives in Brooklyn, NY. Visit her at www.alisoncherrybooks.com or on Twitter @alison_cherry. Liza Kane is a coffee addict and an unrepentant nerd who manages a business in her spare time. She writes speculative fiction to find a productive outlet for the random trivia floating around in her head, and to justify her English Literature degree to her parents. You can find her at http://lizakane.me/ or on Twitter @lizakane. ← Work Hard, Rest Hard. You sound so much like me! I write short first drafts as well (usually 55k) and I also only map out the major turning points, leaving all the details to discovery. Thanks for sharing!